How to Stop the Insanity?! Question: It’s just plain crazy!! Our pup doesn’t seem to bother with the adults in the house, but can’t keep himself from play biting, chasing, nipping and tugging at the kids! Yup! That does sound crazy, but it’s actually quite normal. For a couple reasons. First, your puppy is young and has a ton of energy! And if you can’t get that energy out by other means like walking, toys to occupy his mind, going places or giving him some other playtime activity, he will provide his own! He just has to! Secondly, lets face it, adults just aren’t as fun as kids! Adults don’t run through the house, squeal, or talk excitedly, usually. But kids do! So, if you were in a little puppy’s energetic body and you had two choices of who to play with…I’m pretty sure you’d pick the kids! Plus, adults tend to put off the energy that they are in charge or “the boss”, while kids not so much. Which really makes it fun when the chasing, nipping and tugging starts! 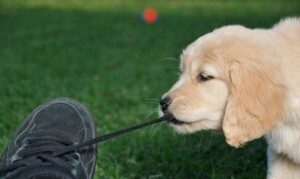 The kids squeal, pull away, which just fuels the tug of war game, which is exactly what the puppy was looking for! So, the kids try their best to get the pup to stop, to no avail and that’s when the adults get involved to try to protect their kids from being mauled by the pup, and emotions start to escalate. Then everyone is screaming and the puppy doesn’t understand what’s gone wrong. He was just having a very good time and all of a sudden, he is whisked up and placed in his kennel, shipped outside or some other kind of punishment ensues. Ok, let’s see what we can do to proactively approach this issue. Fade in…Mom has been home with the little pup all day. She can’t understand why it has been such a struggle to get all the members of the family on the same page with this dog! I mean, why does it always seem to be the Mom who ends up really taking care of the dog! Now, I know that in some families, it can be the Dad, but I would venture to say that at least 75% of the time, Mom will end up being the primary caregiver. Ok, Mom is tired, and has spent a good deal of her “me” time with the pup, feeding, watering, pottying…maybe a walk or two. She needs a break. Here come the kids off the bus, they have book bags, homework, they are hungry and guess what? The puppy is super pumped because the kids are home!! But the kids have had a full day of school and they are somewhat tired also. They are happy to see the pup too, but he’s jumping all over them, pulling and tugging and wanting them to play. The kids start complaining and the pup again, doesn’t know why NO ONE wants to PLAY with him! Set up a daily routine for the pup – keep it simple. Wake up time, potty time, feeding schedule, light playtime, naptime. Just like you would for a human baby. Seriously, having a puppy is soooo much like having a new baby in the house. And just as a routine is critical for a newborn baby, it is just as important for this little furball. And dogs learn by repetition. So, anything done over and over again, that’s your golden ticket to a more contented pup! Make it special when the kids come home. “Pass the baton” of “Puppy Watch” to the kid/s. Have a special activity, like a walk, special toy to play with, a quick training session with special treats…anything to make the “coming home” time special for the little pup. I mean think about it. It sounds kind of cheesy, but when you see those pictures of the sad dog and it says, “spend some time with me, you have your friends, but I only have you” it’s still true! He doesn’t have that much of a social life and unless you do have other animals in the house, your family members are pretty much his playmates! Keep the “coming home” routine short. I know families are busy and they have alot to do! No need to play for an hour, unless you have the time, then by all means, wear that puppy out! If right after school, you have sports, appointments, etc…still try to get that short special playtime in before you have to go. If you can’t take the pup with you, then put him in his safe place until you get back. You may have to have a quick playtime session when you return, but the point is to distract the pup from him initiating the playtime. His playtime is playbiting, nipping, pulling and tugging. Yours will be more structured with a game that YOU initiate, a walk, chase the ball, throw the frisbee. Get the difference? But he won’t care, because he is getting what he wants too…time with you! 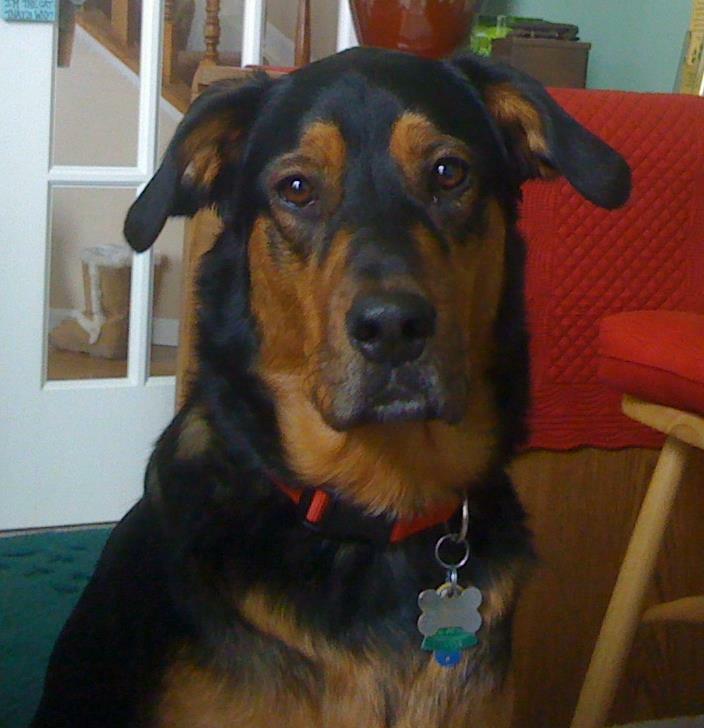 Have the kids practice some of the puppy training games such as “Focus”, “Upstairs, Downstairs”, the “Wait”. These games establish pack leadership and gives the dog clear boundaries as to who is in charge. For safety’s sake, having these boundaries between the kids and the pup, will save many a heartache later, when the puppy is older and the bad behavior is not as well tolerated. ​In the middle of a mauling of playbiting, nipping and tugging? Say Ouch! – in direct proportion to the nip. If it’s a light one…a quick and light “Ouch”… if it’s more intense, then the “Ouch” would be more intense as well. We are teaching the pup to understand that nipping hurts humans and they are very fragile indeed! He won’t know if you don’t tell him. If pup is completely out of control…stop the nipping by a distraction. 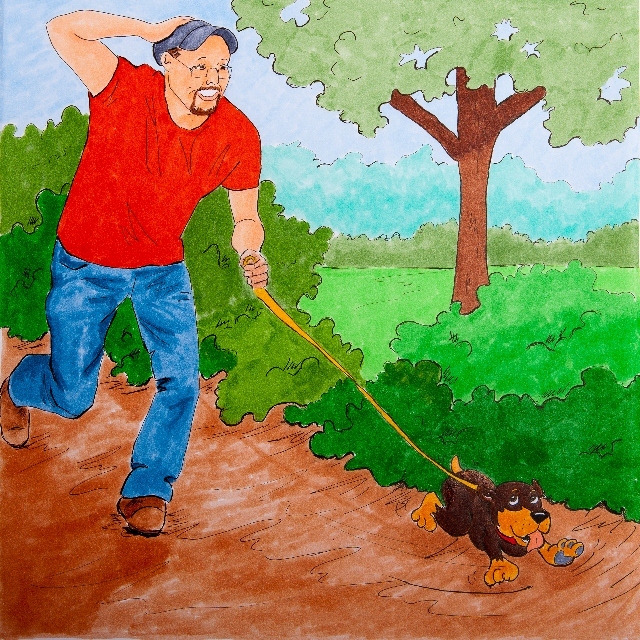 “Hey, let’s go for a walk!” Grab the leash, put it on the pup and head out the door! He will be so surprised and probably delighted that he gets to go somewhere! If that doesn’t work and he’s still completely out of control, then put him in a safe place, without emotion, calmly and deliberately contain him so he can’t hurt himself or the kids and leave the room. I also recommend for children that if they are experiencing a scary situation with their pup/dog and no adult is around, to go to a safe place, like another room or bathroom and close the door until the pup calms down. ​There are many more ways to calm a dog gone wild. These are just a few. The most important thing is to keep the kids safe. Secondly, try to understand where your pup is coming from and put yourself in his shoes. Remember, he is a dog and acts mostly in the moment and on instinct. I hope this has given you some ideas of why your dog may be acting in this way and how to proactively keep it to a minimum. One more thing…a puppy is also cutting teeth and needs to chew, whether it’s on toys, shoes, bones or the kids. Having appropriate outlets for your pup is key. Chewing on the kids is definitely NOT ACCEPTABLE!! 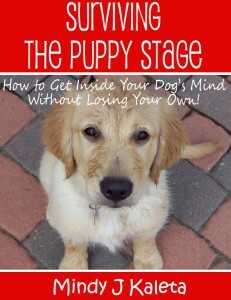 Grab a copy of the parent’s e-book guide, Surviving the Puppy Stage, How to Get Inside Your Dog’s Mind Without Losing Your Own! with instant download for when you are about to pull your hair out! 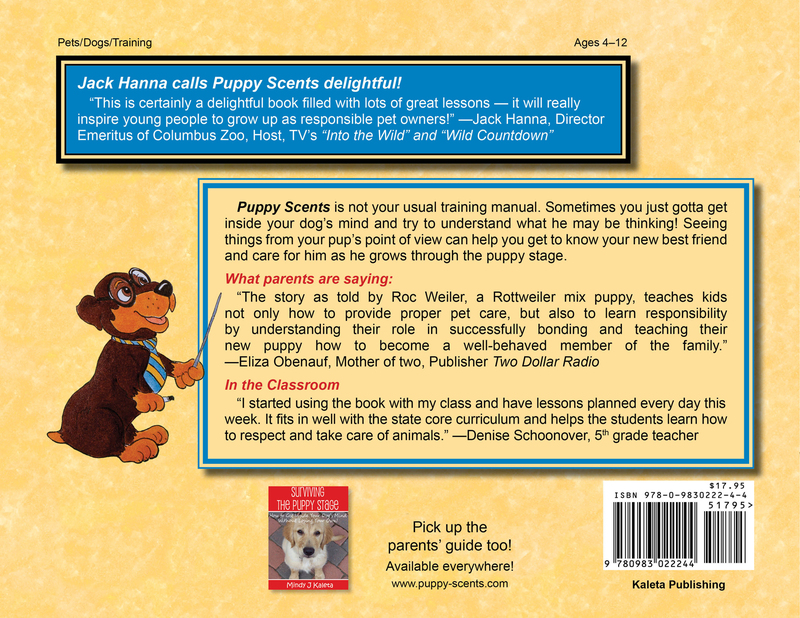 And for the kids, Puppy Scents, The Kids’ Guide to Puppy Care, for not only entertaining stories from a feisty shelter pup, but good information on how to lovingly and successfully help out with the family pup to become best pals always! 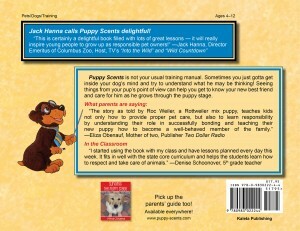 Next post: Welcome to Puppy Mom Survival Coaching!